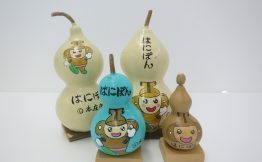 Stationeries of Hanipon, the mascot of Honjo-shi. 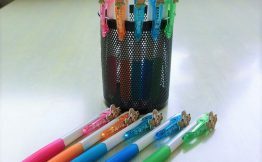 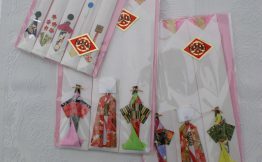 Characterized by chopstick wrappers carefully made one by one with the use of colorful origami papers. 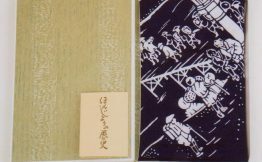 A tenugui with a design of watashiba at Kanna River in Honjo-juku. 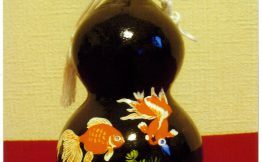 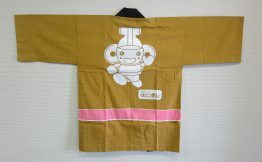 A noren with a design of watashiba at Kanna River in Honjo-juku. 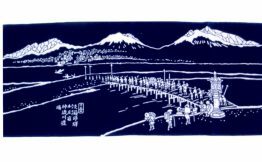 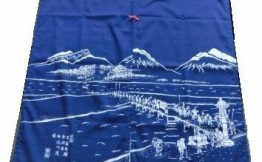 A furoshiki with a design of watashiba (a point of departure or arrival for ferryboats) at Kanna River in Honjo-juku. 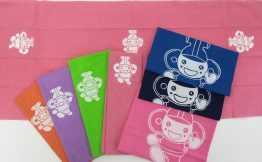 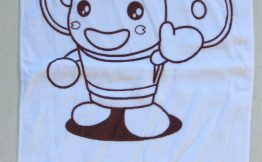 A sports towel with the illustration of a smiling Hanipon printed on it. 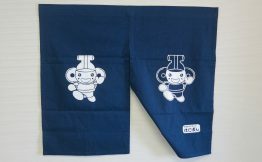 This is a cotton 100% towel of Imabari origin, giving you soft texture. 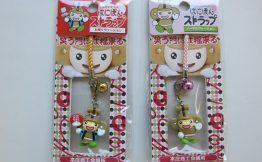 A cubic cell-phone charm modeling Hanipon.